An Australian billionaire running for Parliament says he is building a replica of the Titanic at a Chinese shipyard. Clive Palmer, who built his fortune in real estate and coal mining and apparently likes the media spotlight, said the new ship would accommodate 1,680 passengers and start sailing in late 2016. The Titanic sank in the North Atlantic 100 years ago on April 15 and was memorialized in TV shows and with commemorative cruises to the spot it sank. 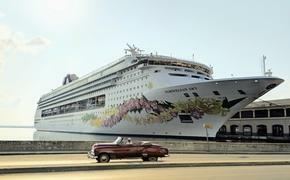 “It will be every bit as luxurious as the original Titanic, but ... will have state-of-the-art 21st-century technology and the latest navigation and safety systems,” Palmer said in a statement reported by the Associated Press. The original Titanic was about 46,000 gross tons and has capacity for 2,435 passengers and 892 crew members. The contract for Titanic II reportedly is with CSC Jinling Shipyard in China, but the yard’s website had no mention of the project. The AP story said the ship would have four smokestacks like the original, which was powered by coal, but that they would be decorative.